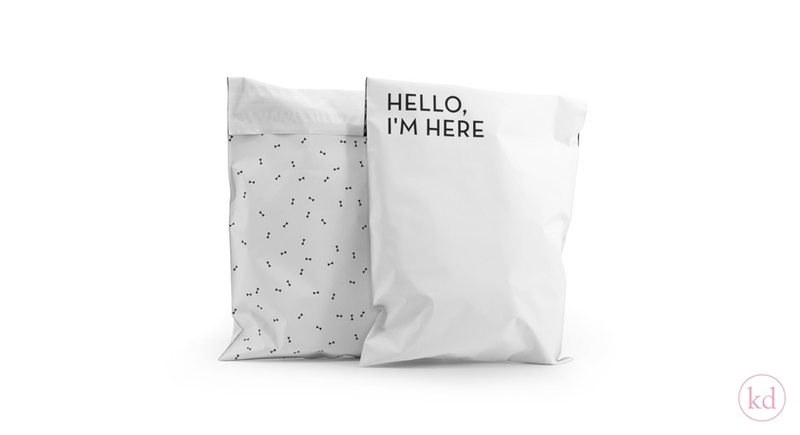 Never send a boring order again, with these lovely internet sendbags! 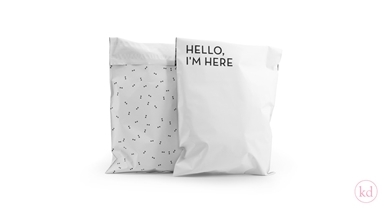 They have the text “Hello, i'm here” to let your customers know their treasure arrived! Thats not all, we can also make the custom-made for you, your own size, colors, logo or text. Please contact us for the details! They come with a double glue strip, so its easy for your customer to send it back. Also the black inside stops anyone from peeking.